“Humedales de Puerto Viejo” another similar ecosystem that is fed by runoff from the rivers that descend from the high Andes. The Cañete River is one of the major rivers of the western slope and it has formed one of the most fertile valleys with picturesque villages such as Lunahuana, a location popular among local tourists for its scenery and canoeing opportunities. Also on this route, you will find the only two protected areas in Peru that cover a portion of the continent and the sea: the Paracas National Reserve and the Reserve of San Fernando. From its shores boats can navigate to appreciate its spectacular seascapes. Also along this route, you will visit vast areas of unspoiled desert and coastal “lomas”, with fauna such as Andean Condors and Guanacos that exists almost exclusively in this portion of the Peruvian coast. In Nazca, archaeological remains left by ancient Peruvians are spread throughout the area. The most important archaeological sites are being excavated and conserved. Among these sites is the sacred citadel of Cahuachi, considered the largest mud city in the world, and the famous Nazca lines, extensive figures drawn in the desert that we will observe when flying over them. A safari through the ancient and prolific Peruvian coast, framed by a unique fauna and landscapes, as well as impressive samples which we have inherited by the ancient Peruvians. 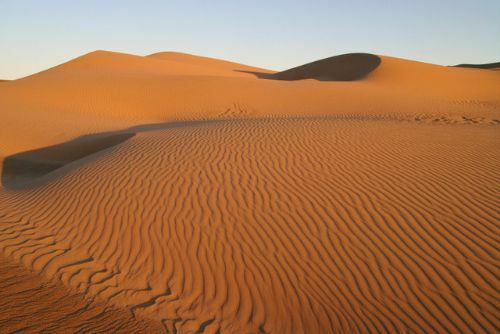 Climate: The climate is warm with no rain and with an average temperature of 23 ºC (73.4 ºF) and cool at night. Strong coastal winds often occur in some seasons of the year. Distance from Lima to Nazca: 470 km approx. Includes: 4x4 vehicles and experienced drivers in the area of San Fernando. Departure from Lima, first stop on the Villa Wetlands to photograph Great Grebe, Andean Duck, Yellow-hooded Black-Bird. 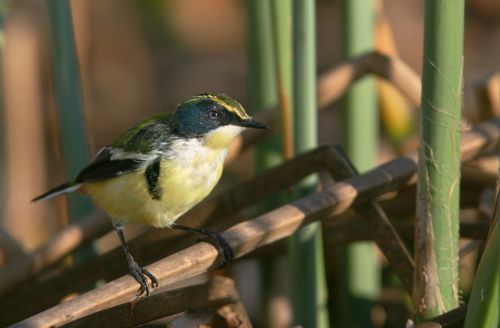 Continuing south along the Pan American highway will enter the Wetlands of Puerto Viejo, where it is easy to find the Many-colored Rush-tyrant, Coastal Miner, Parrot-billed Seedeater, Peruvian Thick-knee. Briefly turning off to the east along the Cañete river until we reach the village of Lunahuana. We can observe Slender-billed Finch, Peruvian Pigmy Owl, Black-necked Woodpecker, etc. Overnight in Lunahuana. We will continue south along the Pan-American highway reaching Pisco and Paracas, where we can photograph flocks of Chilean Flamingos and the rare Peruvian Tern. It is also possible to photograph sea otters. Overnight in Pisco. 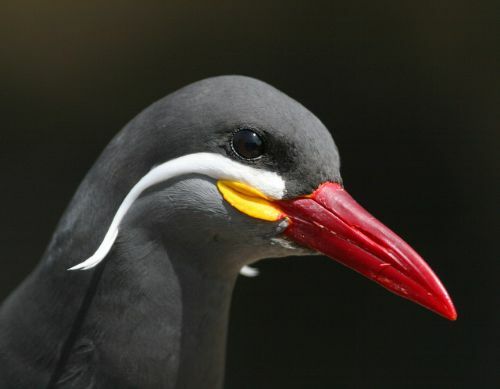 In Ballestas Islands the beautiful Inca Tern and Red-legged Cormorant are abundant, in addition to the Guanay Cormorant and one of the three penguins that live in the tropics, the Humboldt Penguin. In addition to these birds we will see mammals such as sea lions, dolphins, etc. Departure to Nazca in the afternoon. 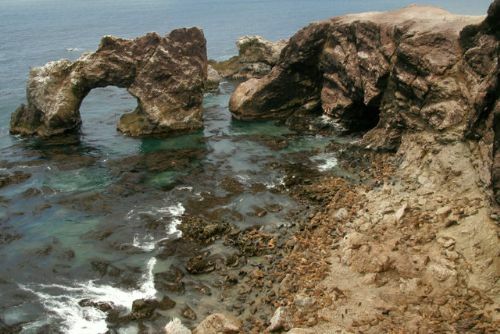 Entrance to the bay of San Fernando in a 4x4 vehicle. Passing through the area of coastal “lomas” where Least Seedsnipe and Tawny-throated Dotterel live. It is also possible to photograph the Andean Fox and the Guanaco, both migrants from the Andes. In the bay the Andean Condor is visible throughout the year, especially during the summer when the sea lions play. We may also catch glimpses of groups of Humboldt Penguin and Surf Cinclodes. During the summer even from the shore you can see Humpback Whale groups. In the evening we will take a closer look at the Andean Condors by approaching the cliffs where they fly. Camping in the bay. Tour around the bay. Back to Nazca, visiting the archaeological site of Estaquería and Cahuachi on the road. Overnight in Nazca. Flight over the lines of Nazca. Return to Lima, stopping in the woods bordering the rivers Nazca and Palpa.